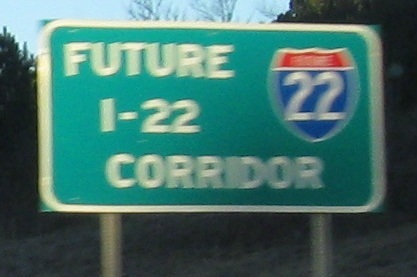 The only I-22 shield you'll see for a few more years, WB on US 78. It remains to be seen what will come of the US 78 designation, since right now the entire I-22 freeway (minus the tiniest piece on the eastern end) is US 78. 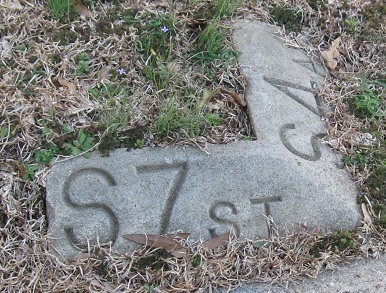 AASHTO doesn't like returning US highways to their original routes because it involves a lesser-grade roadway - so basically, MS and AL made big mistakes by designating the new highway as US 78 instead of just a regular schmo route like MS 22/AL 22. Being a rational man, I disagree with this policy. To temper my criticism, it is fair that the freeway was conceived and much of it constructed before the number I-22 ever materialized, but it's a valuable lesson to other DOTs (here's looking at you, NC) to keep the US highways off the freeways if they might EVER become Interstates. 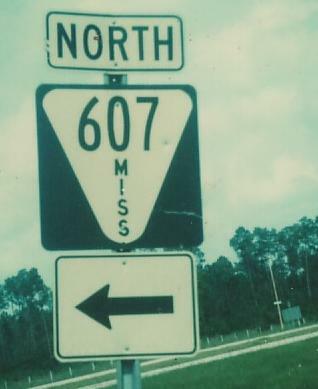 Left: The old generation of Mississippi route shield, courtesy Michael Summa from 1978. 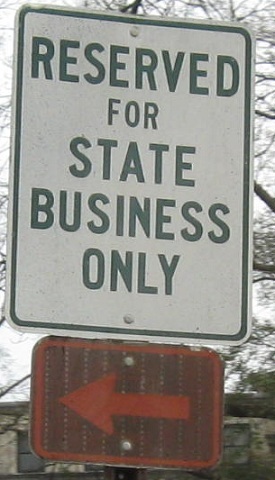 The signpost on US 90 EB was already atilt then, so it probably didn't have much longer to live before being replaced by the state circle. Behind the old Capitol in Jackson - what colors were used for that arrow? - and a back-road street corner in Columbus.